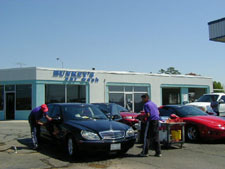 Conserve water, use a professional car wash. In Cary at High House Rd. & Davis Dr.
Cary Parkway & Kildaire Farm Rd. Glenwood Ave at Pleasant Valley Rd.